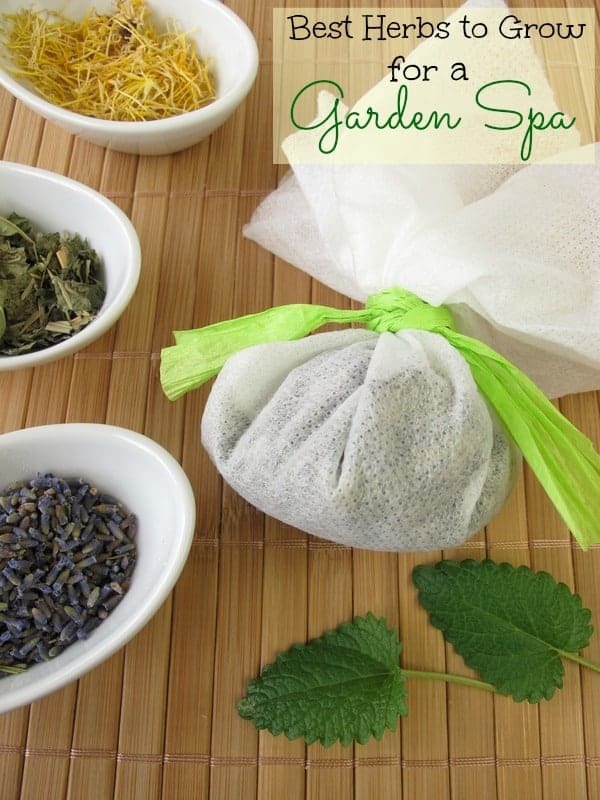 There are many ways to use fresh herbs in your diy beauty products. When you begin your herb gardening adventure, please remember that what goes ON your herbs will also go on your skin. Avoid using chemical sprays on your herbs. I have found that most bugs really don’t care for herbs and will leave them alone without any chemical additions. The strong aroma and flavor of fresh herbs is usually not all that appealing to bugs. Please consider allowing some of your harvest to go to flower at the end of the season. Pollinators LOVE herb flowers and you will be blessed with numerous bees and butterflies if you leave a few stalks behind for them! 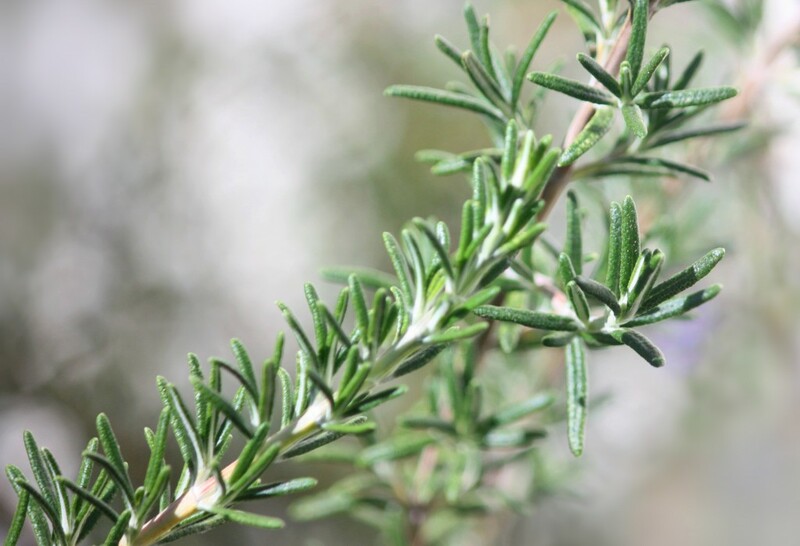 Rosemary: This herb has slightly astringent properties which make it helpful in your skin and hair care routine. It contains a number of nutrients including iron, calcium, vitamins and antioxidants. Rosemary has powerful disinfectant and antiseptic properties that make it useful when trying to treat acne and oily skin conditions. You can steep fresh rosemary in hot water and use the resulting ‘tea’ as a rinse for oily hair or grind it up in a scrub and use on your skin. Check out my Lemon and Rosemary hand scrub which makes a great homemade gift for gardeners! This is a rather good sized, woody bush that needs full sun and a decent amount of room to grow. Lavender: If you are considering herb gardening, I highly recommend you plant lavender for use in your DIY beauty products. Lavender is well known for it’s relaxation properties which makes it popular in bath products like my Lavender Oatmeal Bath Bombs. Lavender has been used to stimulate better blood circulation so include it in sugar scrubs to really get your blood pumping. Make a strong lavender tea and add it to a small spritzer bottle. use this lightly scented spray as a mood lifter on a stressful day! 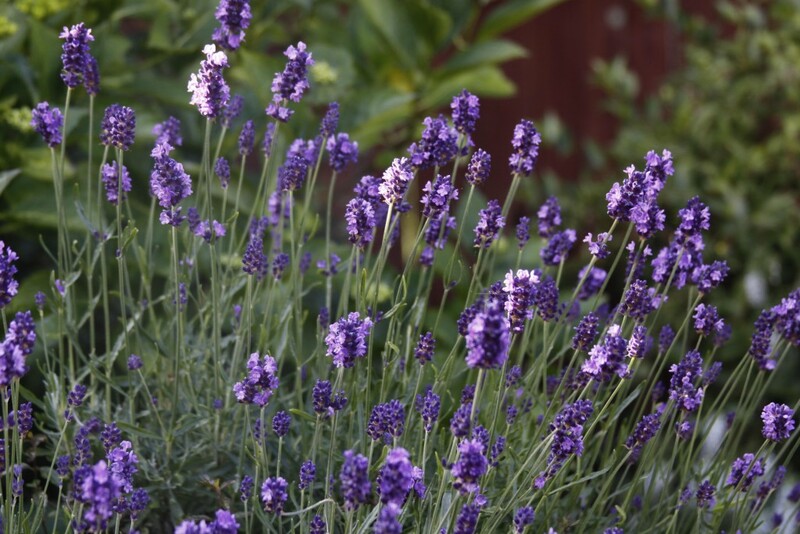 In most places, lavender is a perennial plant, meaning it comes back year after year. 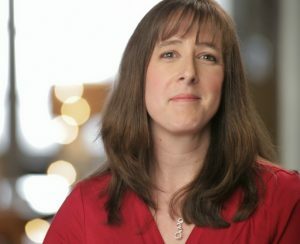 (Here in Georgia, I have yet to see this work!) It smells amazing in the garden and attracts a number of pollinators. Sage: This herb is a strong astringent and can help keep oily skin at bay. A strong tea made of sage and mixed with witch hazel makes a great daily toner. You can also just rinse your face daily with the tea itself. Sage supposedly helps prevent grey hair if mixed into hair tonics. It is also very useful in dental products. Including sage in a DIY mouthwash or toothpaste will help keep gums healthy and teeth white. 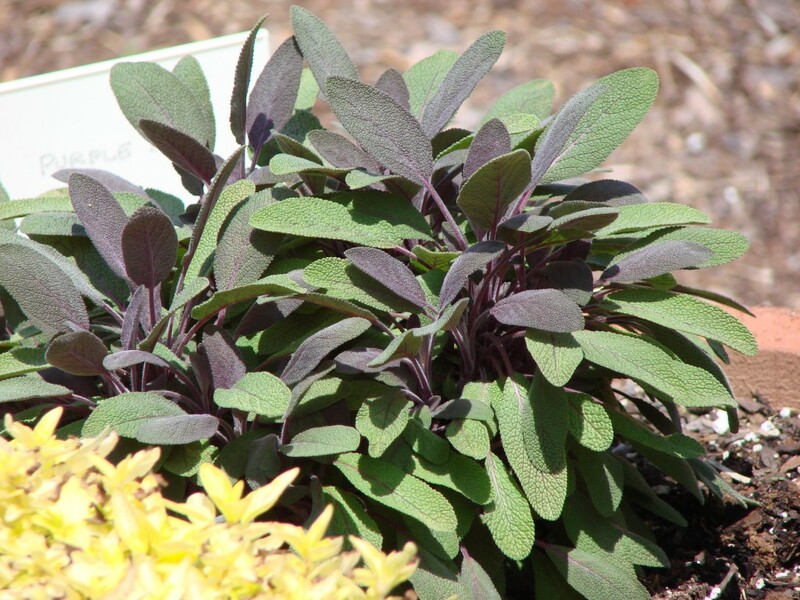 Sage is an evergreen woody shrub with soft, grey-green leaves. There are also purple sage varieties available. Here in Georgia, my sage grows for a few years but eventually needs to be replaced. Basil: While you may think basil is strictly for your Italian recipes, it actually is very good for hair and skin as well. Basil will help tone and rejuvenate tired skin. It is also great at relieving scalp irritations and can help decrease dandruff problems. 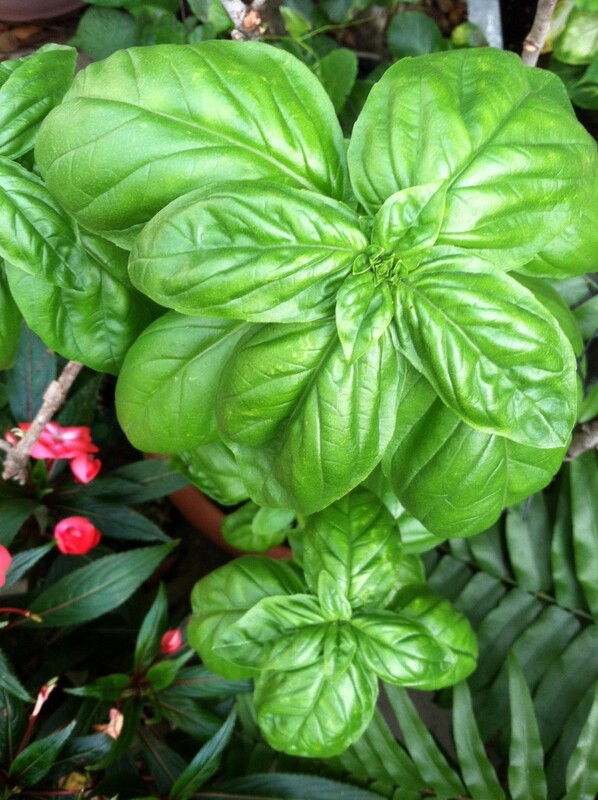 Basil is very sensitive to cold so make sure you plant it after all threat of frost has passed. It loves plenty of sun and will grow to several feet tall. Mint: Mint gives your DIY beauty products a cool, refreshing feel which is especially nice during the hot, summer months. Leaves can be infused into water or oil for addition in your recipes or you can add fresh leaves directly into a scrub. Try adding fresh mint leaves into a homemade foot soak to revive tired feet after a long day in heels! 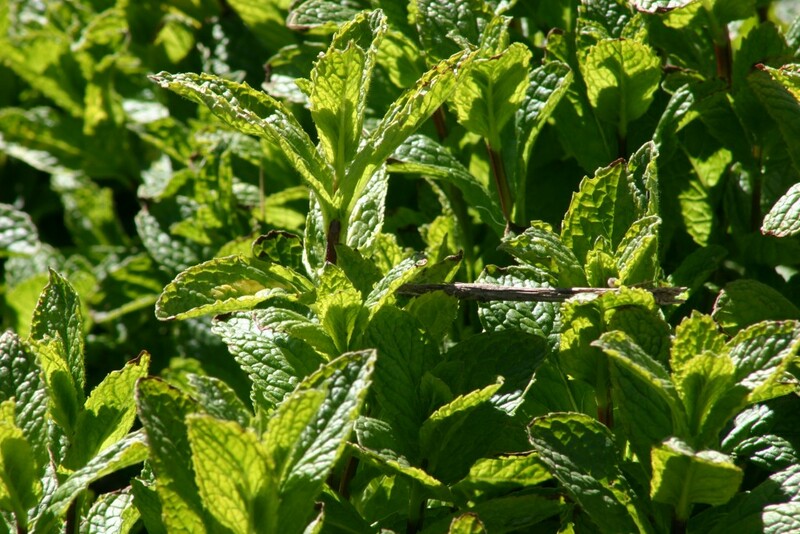 Adding fresh mint to a homemade mask will help tighten pores and make your skin feel remarkably fresh. Herb gardening is great for your kitchen needs but don’t forget about planting an herb garden for your DIY beauty products as well! Do you enjoy herb gardening? We grow a couple mints and basils each year. Nothing better than fresh herbs to dress up a dinner! We are starting a vegetable garden for the first time, and I would love to incorporate an herb garden next year. Love these flowers...especially their smell...and of course for a DIY spa. I miss the lilacs we had in New England but love that I can plant my lettuce in march :) Each region does have it's specialties! I was planning on making some changes in our yard to add some gardening space. These are some cool ideas that hadn't even crossed my mind.